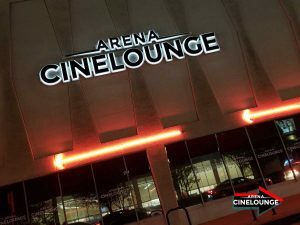 ARENA CINELOUNGE, the premier boutique arthouse cinema in Los Angeles since 2011, is poised to launch a distribution arm with its first theatrical and digital acquisition of the new film MOOP. CINELOUNGE will put out both new releases and cult classics. Led by Christian Meoli, an independent film champion who owns the Arena Cinelounge Theater, the distribution arm will be looking to acquire films of all genres that align with the companies ultra-independent vision. The distributor’s first title, MOOP (Matter Out Of Place), will open summer, 2019. Arin Crumley’s millennial romance, set against the background of Burning Man, is a visually stunning piece of film art which explores the ideas behind “What is love? What is reality?” and captures the fear of intimacy and the detached journeys of two couples searching for answers…Meoli plans to open the film at the Arena Cinelounge, then expand nationally. Arena Cinelounge’s strategy of leveraging exhibition experience by entering distribution has been deployed by many entities over the years, including recently by the likes of Alamo Drafthouse, Cohen Media, and most recently, The Metrograph in NY.